Crackley Hall School is a Catholic school based in Kenilworth in the West Midlands. 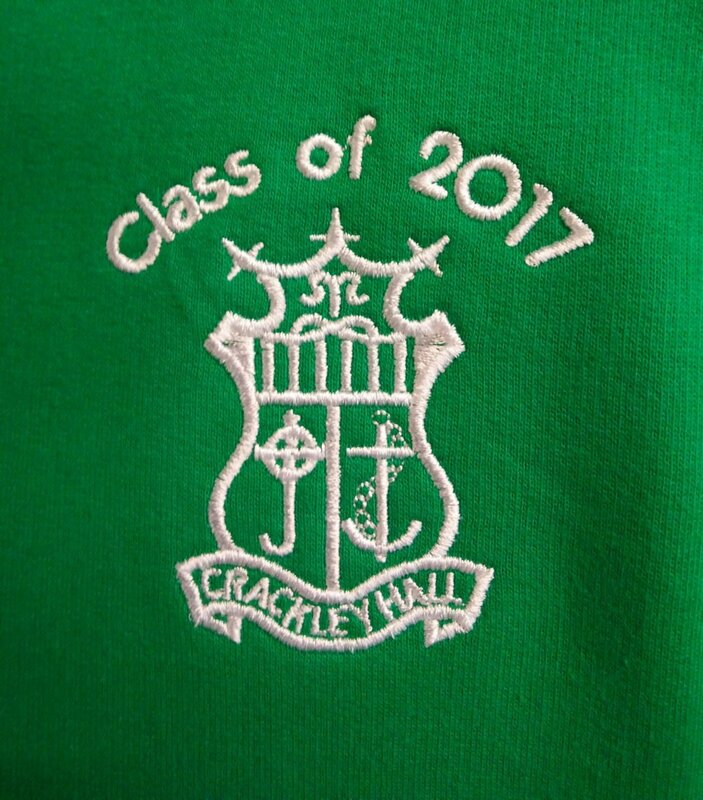 According to its website, Crackley Hall School has been described as the ‘next best place to home’ by its pupils. 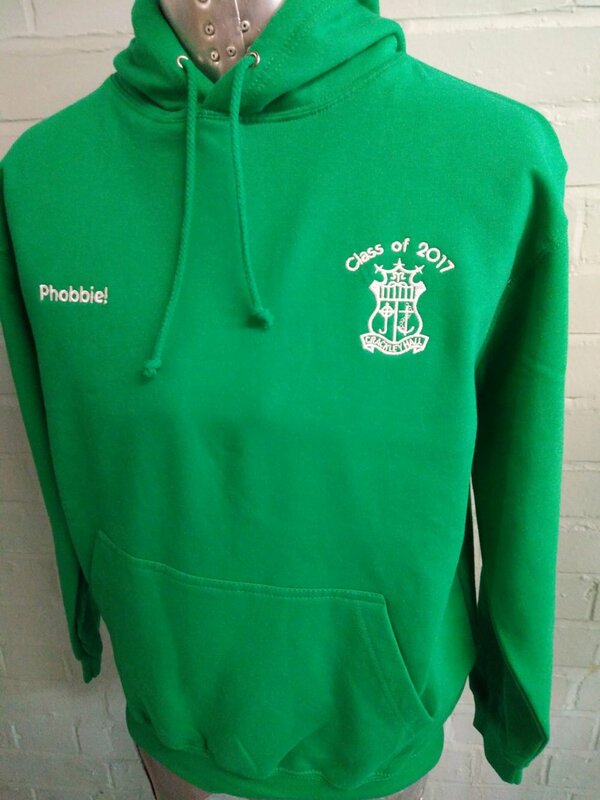 Unlike school uniforms, leavers hoodies are ideal to wear at home and for long after students have graduated from a school – so now Crackley Hall School’s leavers can perhaps feel like they’re at school whilst they’re at home (in a good way!). 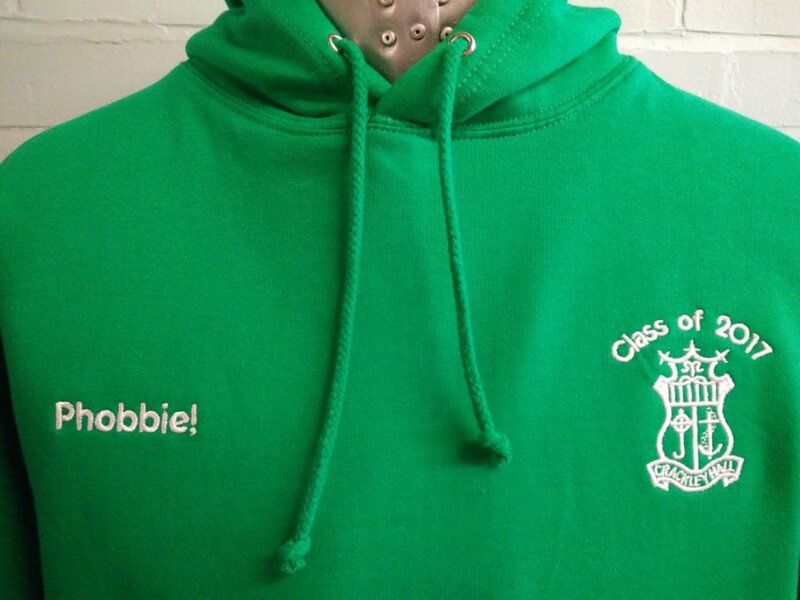 The leavers hoodies for Crackley Hall School features intricate emblem embroidery on the front to the left of the hoodie and embroidered individual student names to the right of the hoodie. 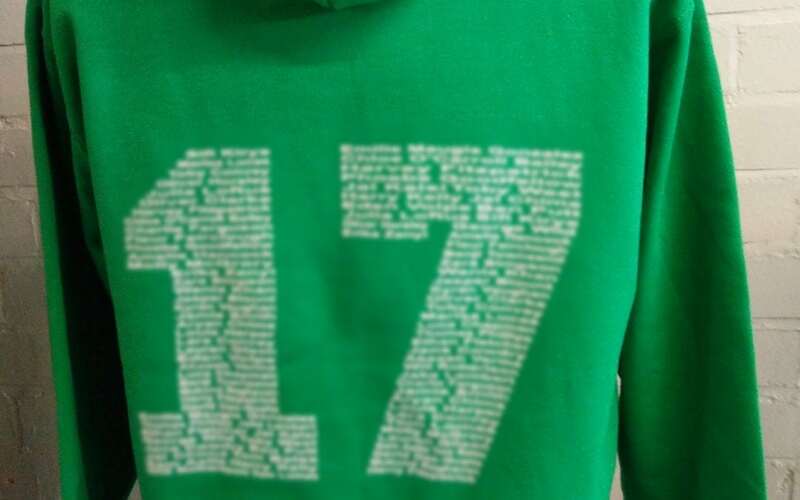 The names of the class of 2017 leavers printed on the back, to form the number 17.